Smooth the top so that it becomes concave upward. 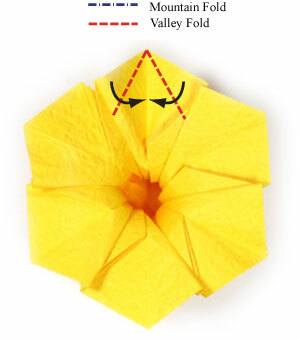 Prepare to turn the origmi daffodil flower model over. 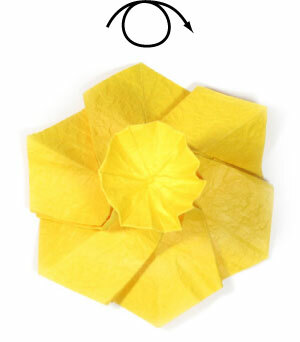 Turn the origmi daffodil flower model over.